This event is intended for coaches and mentors only. Register at https://goo.gl/forms/TmVNs7z7g5tFco9n1 . Come and celebrate Into Orbit season with local FLL teams. We are thrilled to have the new Perot FLL Manager, Kelly Goodner. She will be going over some basics of FLL information and north Texas qualifiers. In addition, we will have Joe Varnell (area head ref), James Brodnick (experienced FLL event judge), and Jay Jordan (experience FLL coach and trainer) to cover tips and tricks in building, programming, organizing team, and judging. There will be time to share contact information and your team events with other teams. Please park on the north side of the building and enter under the cover. 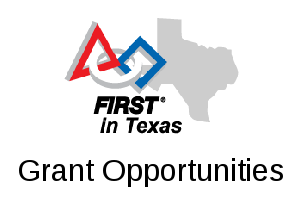 For parking and event location details, see https://groups.google.com/d/msg/northtexasfll/tsliw1gcZiA/OW7zjHm4BgAJ . Generally there are at least two Kickoff sessions each season. Each coach/mentor only needs to go to one, and it doesn’t matter which one. Rookie and veteran coaches are welcome at both events. For more information about the event, please contact Kelly Goodner at <Kelly.Goodner@perotmuseum.org> .